Staying at this hotel was an absolute delight. The customer care, amenities and personnel in general were all great. 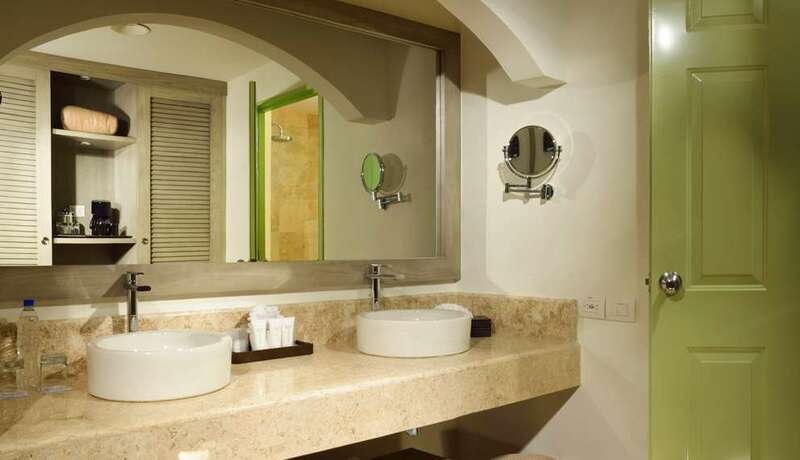 The hotel, which is located at a privileged point on the Caribbean coast, is named after the magnificent beach known as Playa de Punta Maroma. 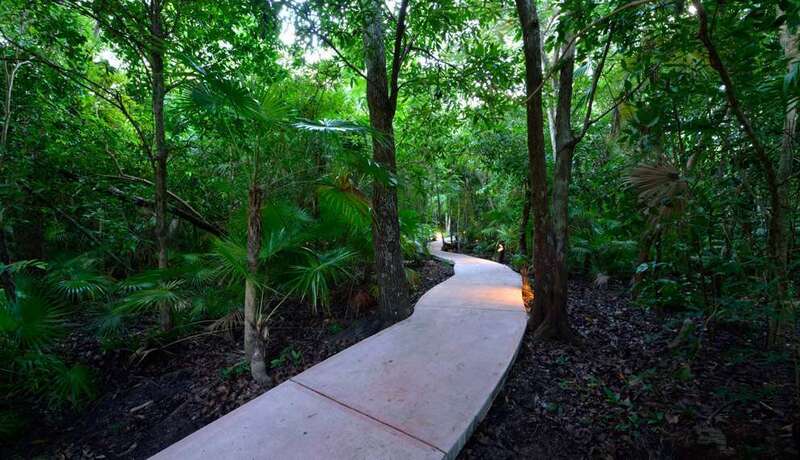 Surrounded by lush mangrove forests which are native to the Yucatan peninsula, the hotel is located in an area of astonishing, scenic beauty. 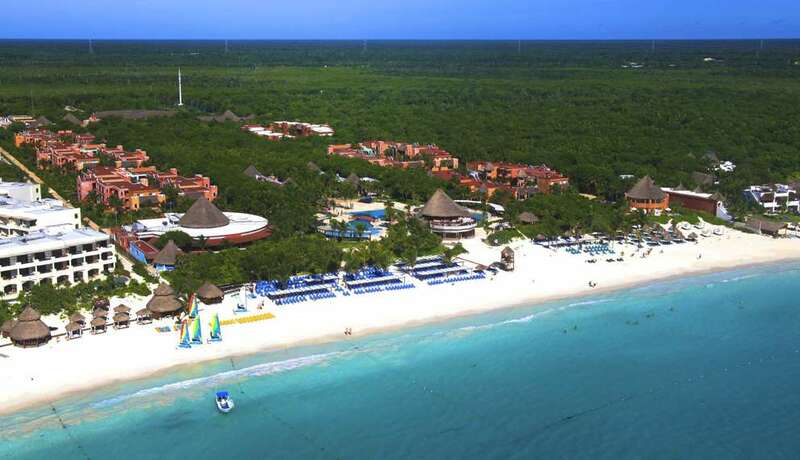 It’s the perfect destination to enjoy a vacation which combines relaxation and tourism: On any given day you can visit a beautiful white sand beach caressed by turquoise waters, and the next day you can enjoy the extraordinary experience of swimming alongside dolphins. 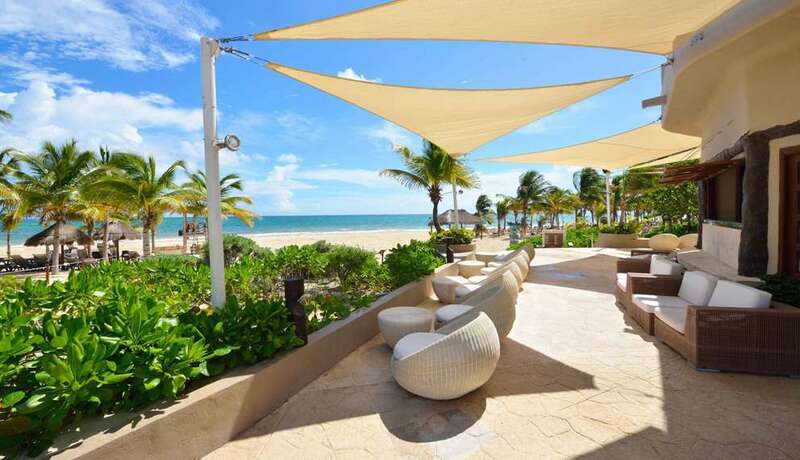 The beautiful hotel, which is located in a privileged part of the Mexican Caribbean, is named after the beach known as Playa de Punta Maroma. 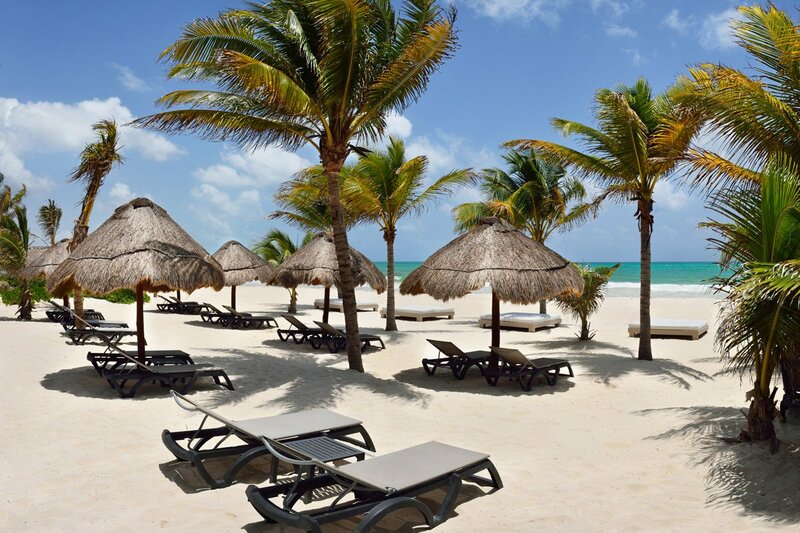 Its white sands have cemented its reputation as one of the world’s most beautiful and renowned beaches. 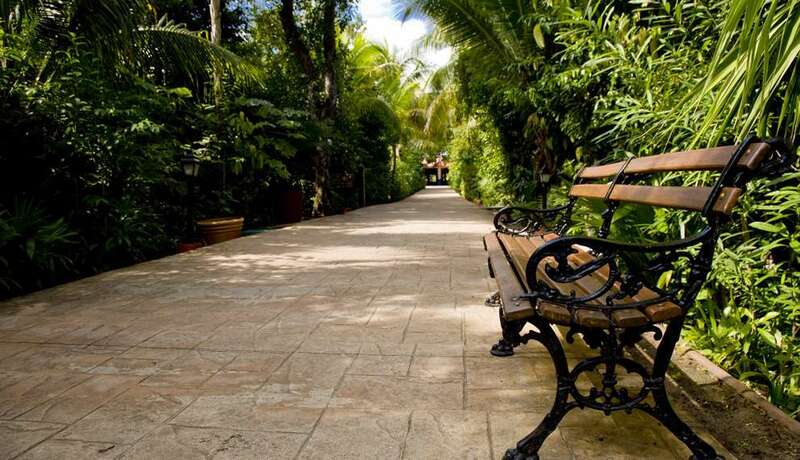 Come and enjoy this earthly paradise: stroll, relax, visit unforgettable places…. 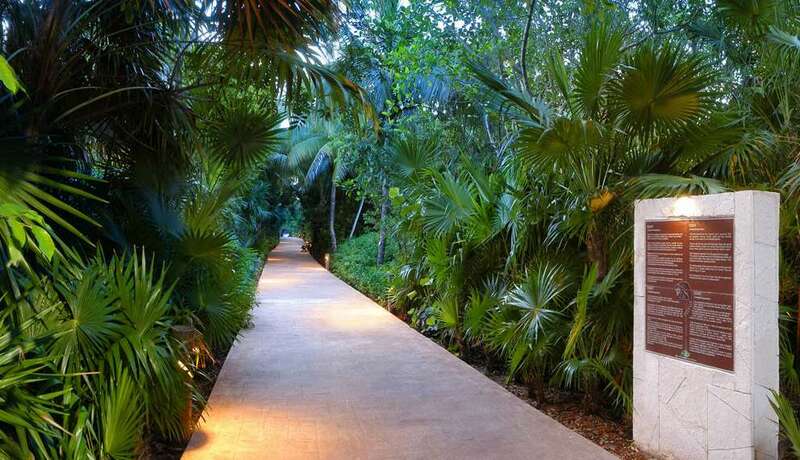 Surrounded by astonishing mangroves, native to the Yucatan jungle, as well as by the lush vegetation of the surrounding area, we find this marvelous hotel. 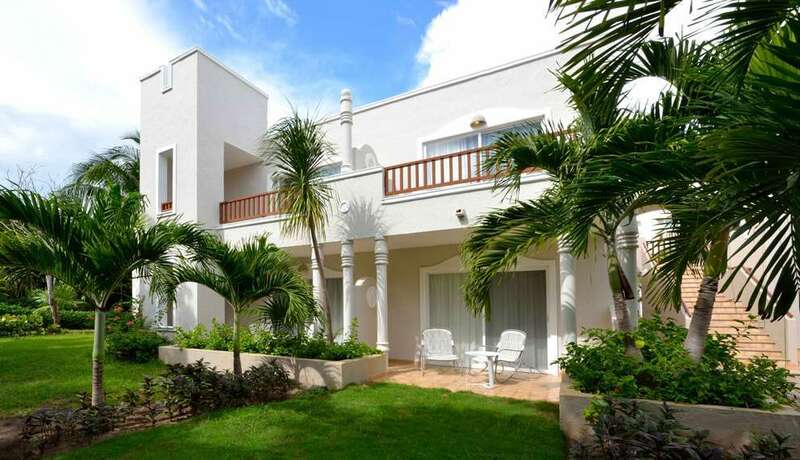 It is comprised of 6 three storey villas, with spacious areas inside and spectacular views on the outside. 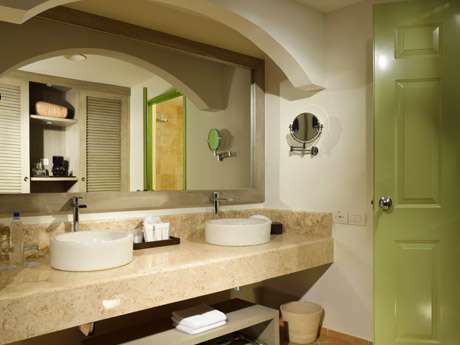 The Caribbean décor makes use of tropical colors. 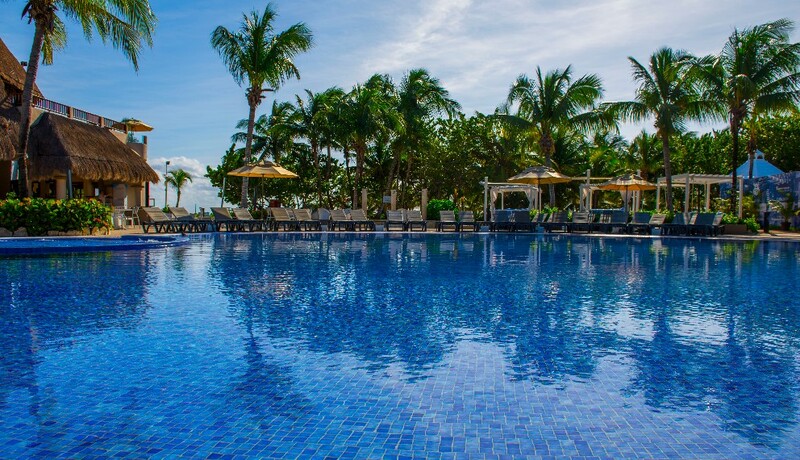 The hotel’s extraordinary setting will allow you to enjoy a vacation which combines relaxation and tourism: visit a magnificent beach today and dare to swim alongside some fun loving dolphins in the morning. 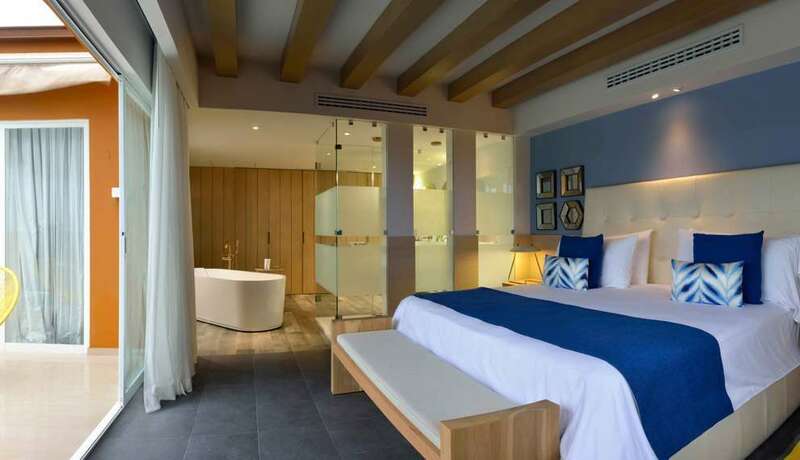 If you prefer, indulge yourself in a relaxing massage; discover the most amazing cenotes (freshwater sinkholes), take a dip in the pool…the options are infinite! 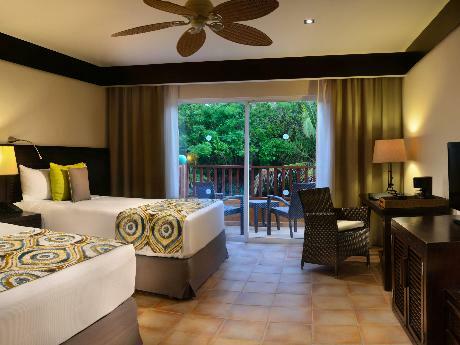 This Caribbean hotel will also entice you with a wide culinary offering. 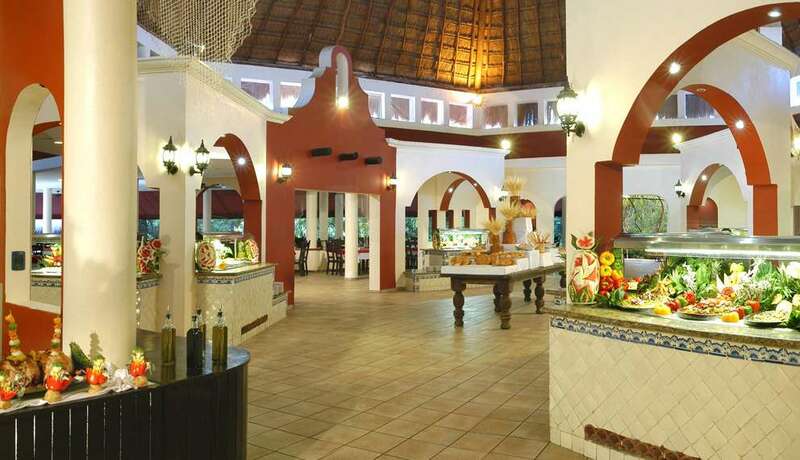 During the day, you will be able to savor typical Mexican food, as well as other specialties, in the restaurants and bars which are there to serve you. During the evening, the landscape may fade into darkness, but it is replaced by the rhythms of an exuberant nightlife. 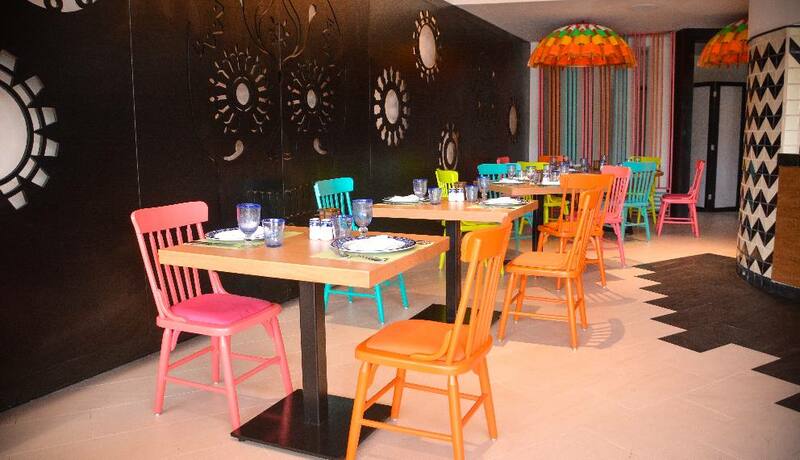 Relax to the sounds of chill-out or…dance the night away to Caribbean music in the discotheque! Attention: this hotel does not accept American dollars as cash. 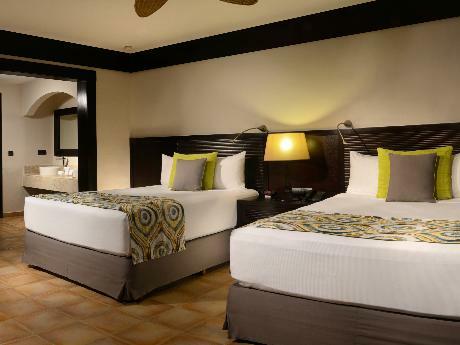 These spacious and cozy rooms will make you spend a very pleasant stay. 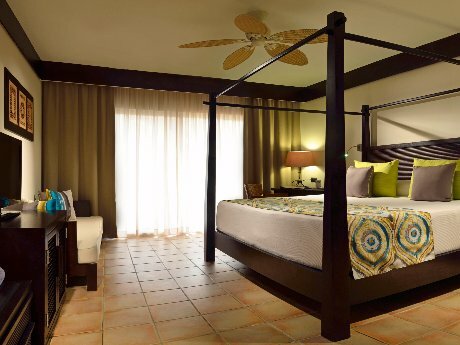 All rooms have a king-size bed or two double beds. 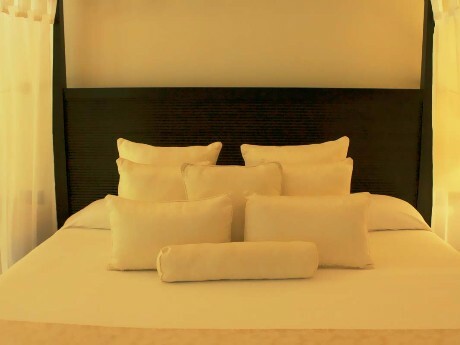 The premium rooms feature newly renovated furnishings and furnishings. They have a king size bed or two twin size beds. 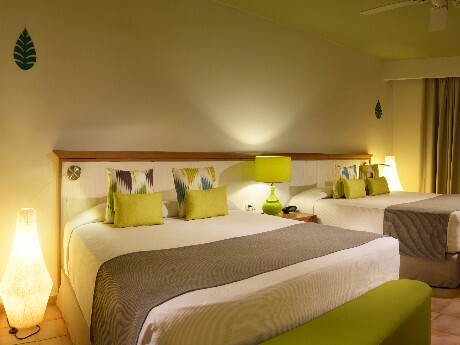 Spacious rooms with fine modern details included in their decoration. The dark wood adds an elegant and welcoming touch to your stay. They have a king size bed or two twin size beds. Booking this room you will be a Privileged customer and you will enjoy the Privileged All Inclusive package (See detail in Useful Information). Elegant, light filled and very welcoming. 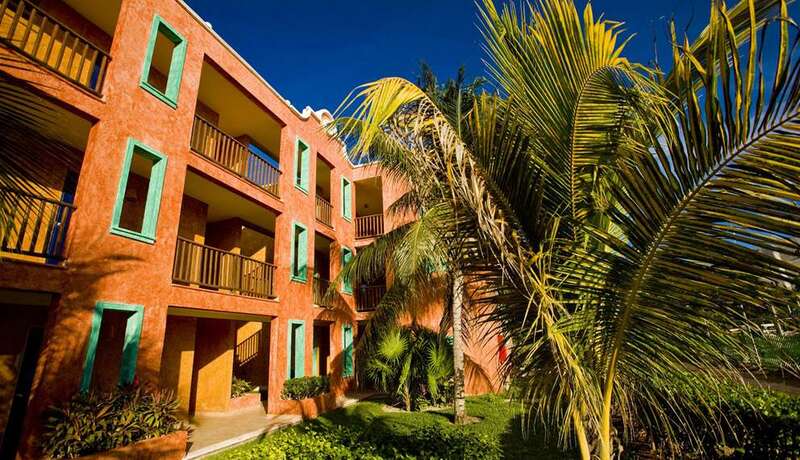 It offers everything you need for your dream honeymoon: Natural and light colors, cushions and canopies… They have a jacuzzi on the balcony. Happy Honeymoon! Booking this room you will be a Privileged customer and you will enjoy the Privileged All Inclusive package (See detail in Useful Information). 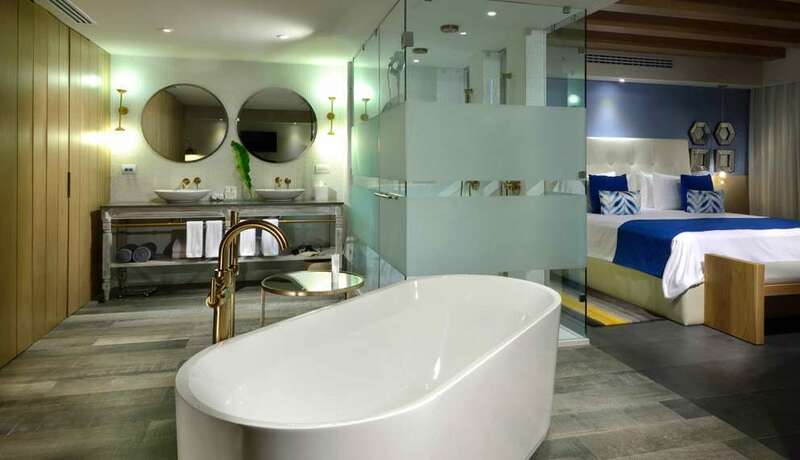 Our gorgeous Suites have a fabulous hot tub on the terrace and beautiful sea views that complement its exclusivity and distinction. 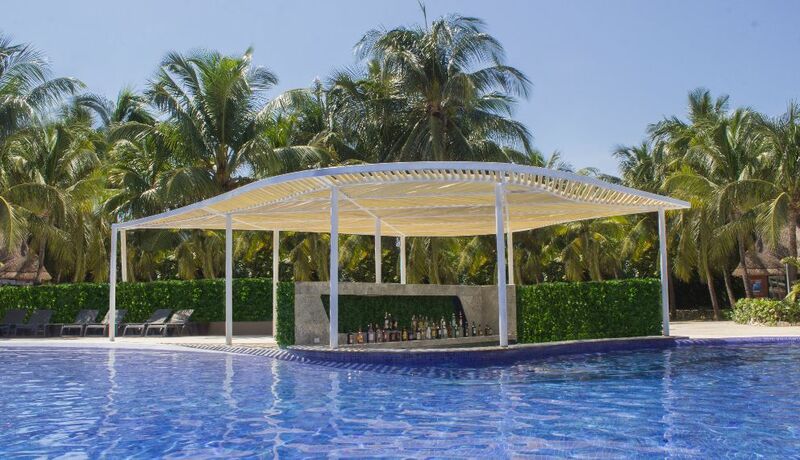 They have a special distribution where space is divided in a harmonious and comfortable way, establishing an atmosphere of intimacy and relaxation, perfect for creating unforgettable memories. The design of retro-inspired furniture, combined with the bright colors in the details and more geometric lines give a modern vintage touch with regional accent in his graphic works. Children under 18 not permitted. Booking this room you will be a Privileged customer and you will enjoy the Privileged All Inclusive package (See detail in Useful Information). 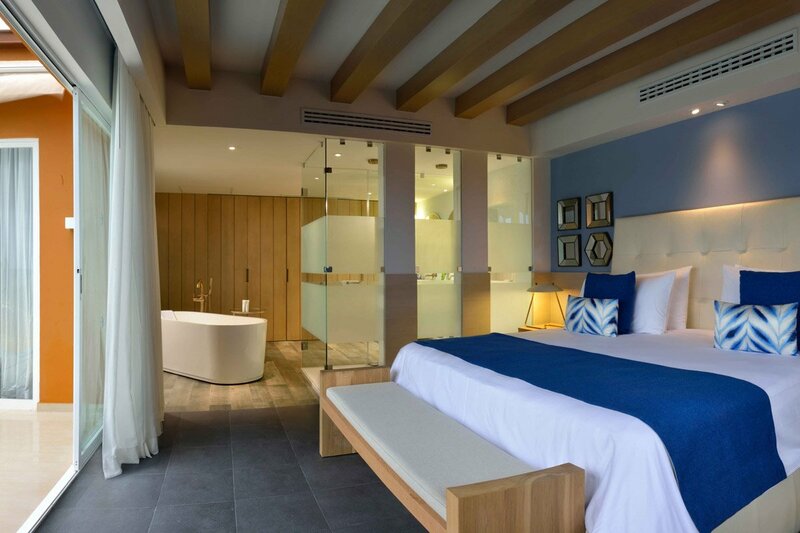 The privileged superior ocean view rooms are spacious and with beautiful modern details in their decor have a privileged ocean view. Its dark wood gives the room an elegant and cozy touch. They have a king size bed or two twin size beds. Booking this room you will be a Privileged customer and you will enjoy the Privileged All Inclusive package (See detail in Useful Information). 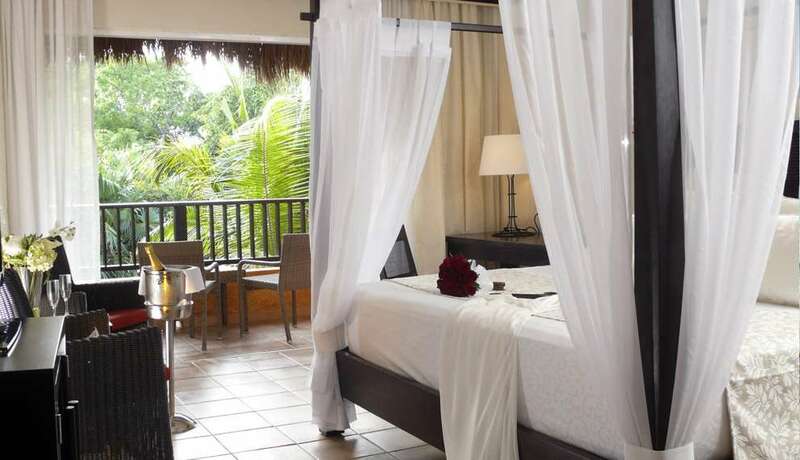 The new Privileged Romance Deluxe rooms are exterior and very comfortable. 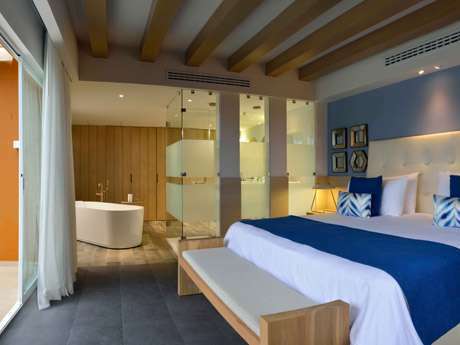 Elegantly decorated in a modern and contemporary style. They have furniture of great warmth. 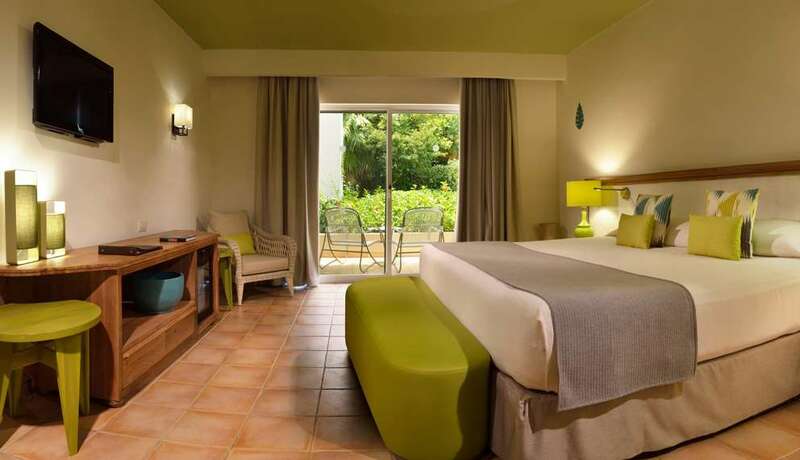 Reserving this room you will be a Privileged customer and you will enjoy the Privileged All Inclusive package (See detail in Useful Information). 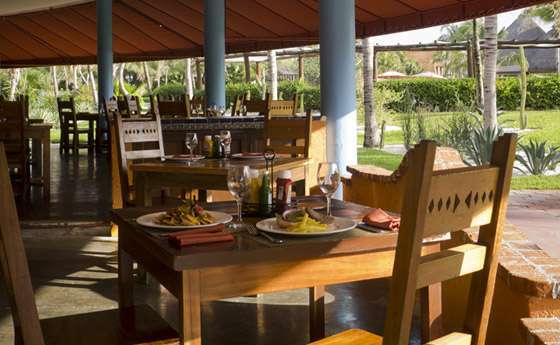 Principal outdoor buffet restaurant with a wide range of international and local food. Wood-fired pizza oven. Outdoor snack and salad bar for meals throughout the day. 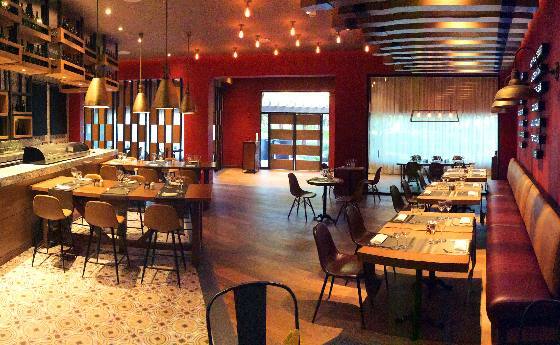 À la carte restaurant with delicious specialties in avant-garde tapas. 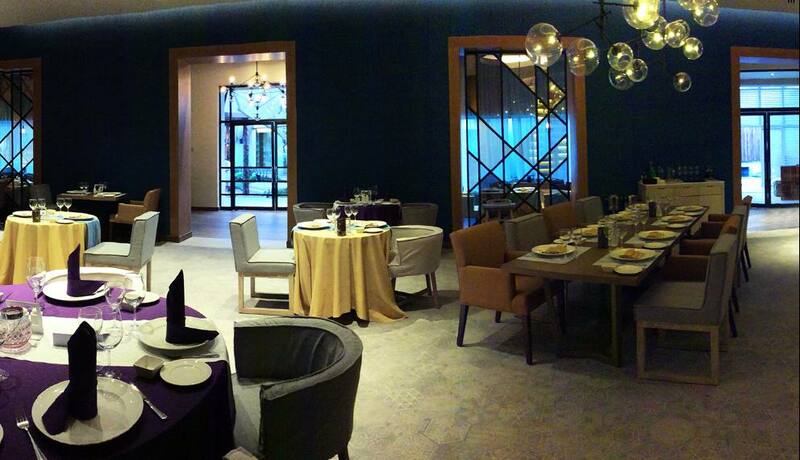 One free dinner per stay for our Privileged guests. 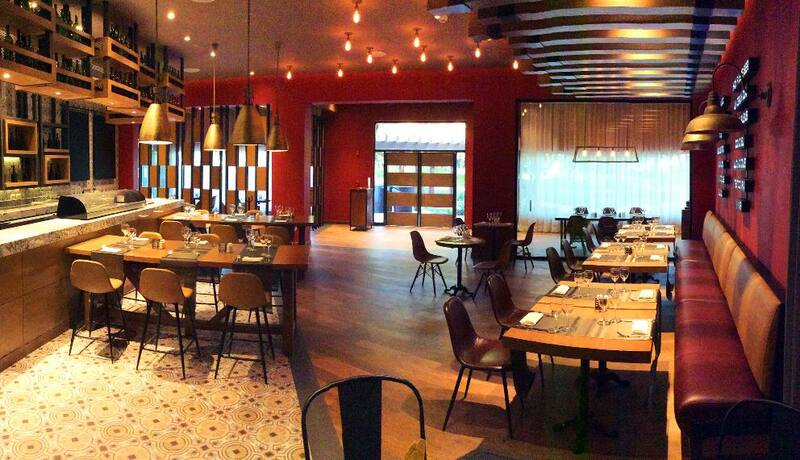 Enjoy the best dinners with Italian specialties at this à la carte restaurant. Dress code: casual-elegant. Authentic Mexican à la carte cuisine for outdoor dinners. Air-conditioned steakhouse restaurant for dinner. 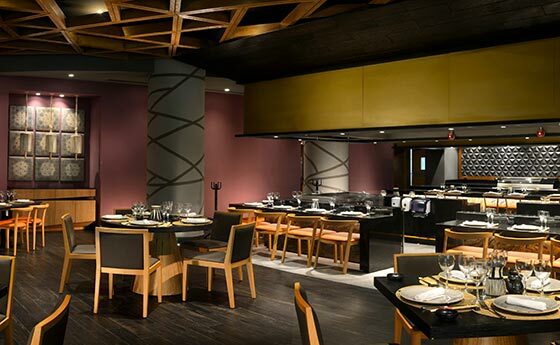 Japanese restaurant with a la carte menu options, Sushi Bar and Tepanyaki Cooking Show. Sweet and savoury crepes all day long, outdoors. 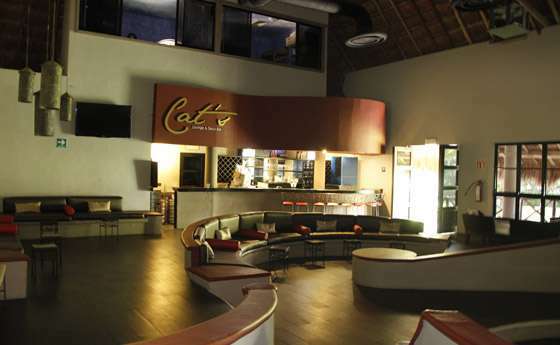 Lobby bar with day and evening activities. 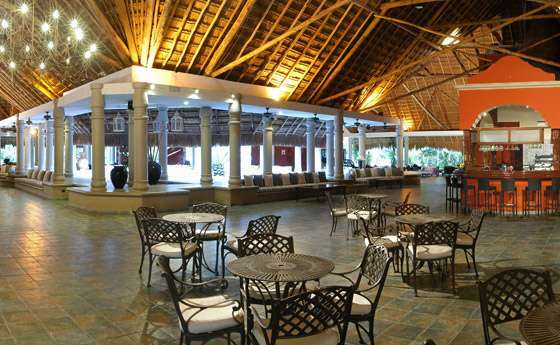 Perfect meeting point to have fun and spend a pleasant while with friends and family. The hotel disco-bar opens at night for a quiet drink or to continue the party until the early hours if you so desire. 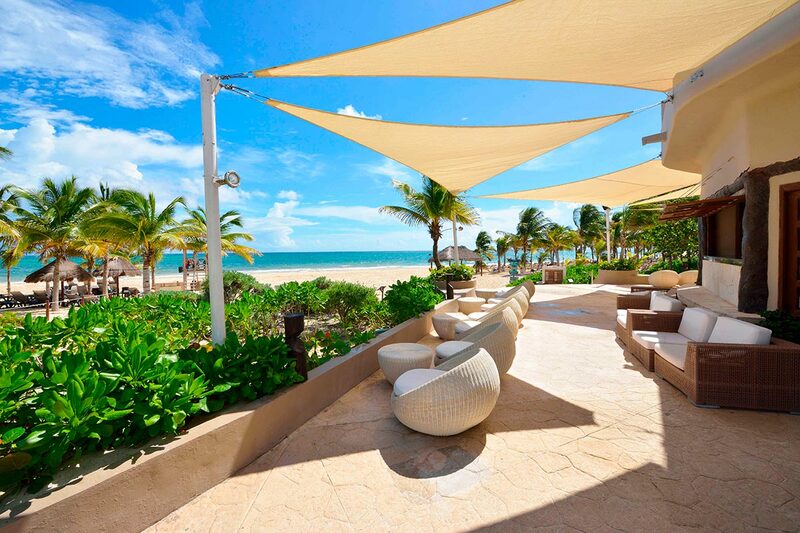 Bar in front of the beach with a lounge area. 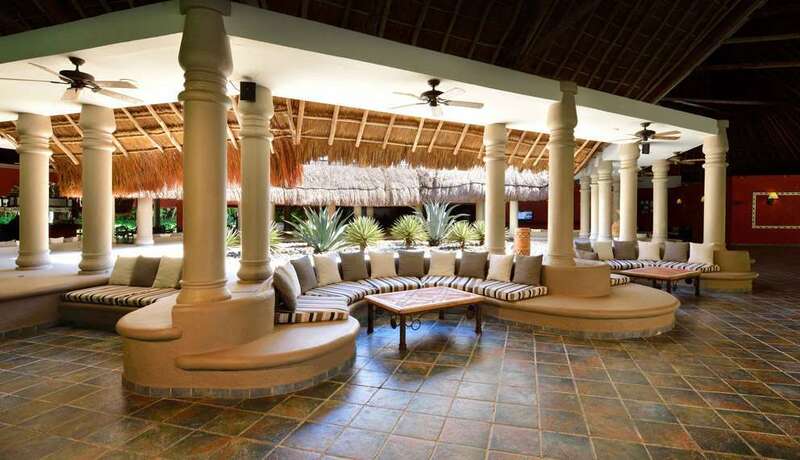 Next to the pool with stunning beach views. Fruit mocktail bar. Food trucks in the pool area. 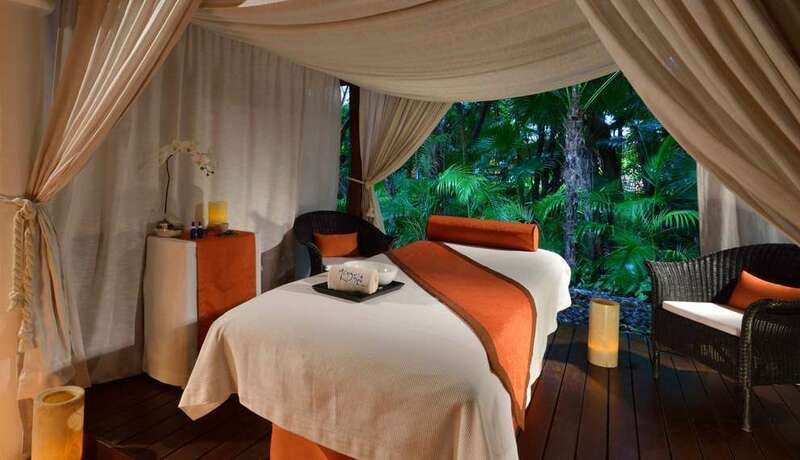 To start the spa experience... Foot ritual, body exfoliation, scalp massage, facial moisturisation massage, back, neck and shoulder massage, tired-legs massage. Massages Swedish, sports therapy, holistic, deep tissue, aromatherapy, reflexology, hot stones. Facial Treatments Deep cleansing, For men, Ultra-moisturising, Anti-aging. Body Treatments with after-sun body wrap or chocolate body wrap. 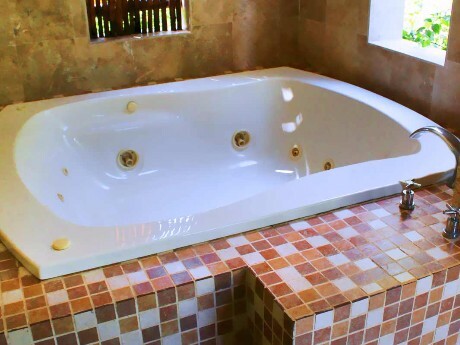 Spa Facilities 4 indoor treatment rooms, 1 garden for couples’ treatments, sauna, steam bath, jacuzzi, beauty salon. 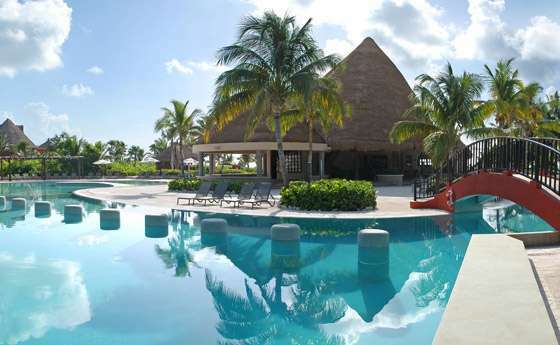 Large pool with dedicated areas for activities, children and relaxation as well as a deeper area for diving. 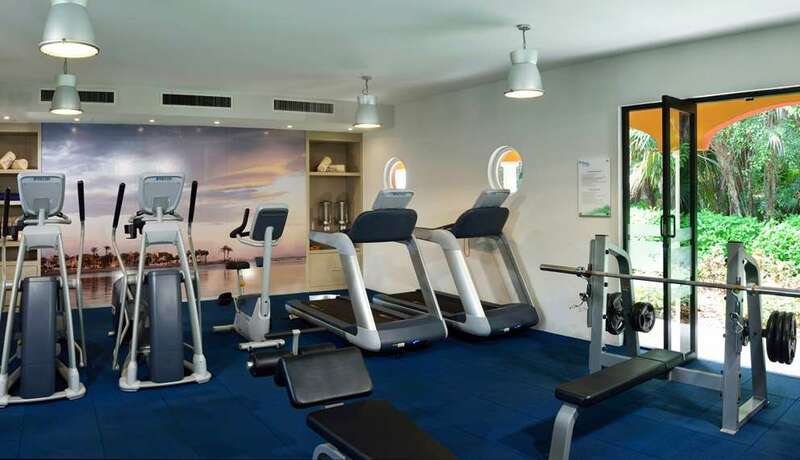 All sports activities and facilities are designed to ensure you an unforgettable time. 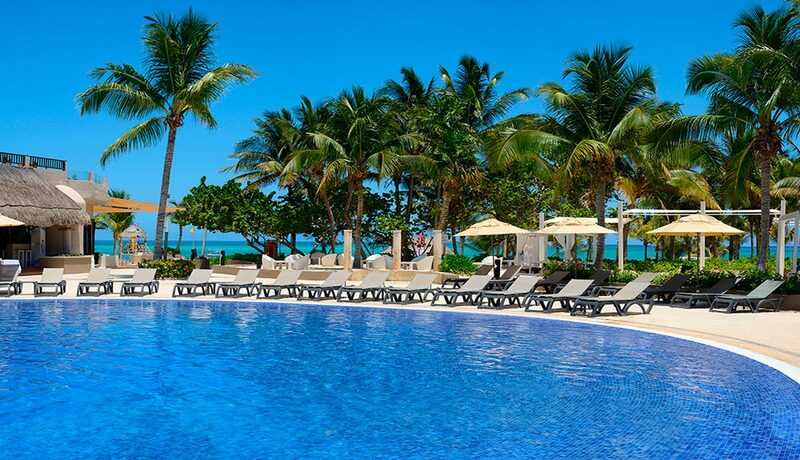 Choose the activity you like most and enjoy your Caribbean holiday. 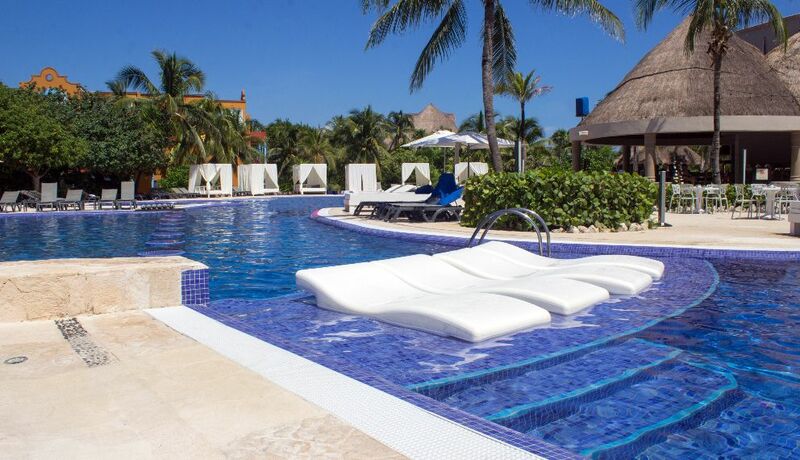 Pool with dedicated areas for activities, children and relaxation. We arrange weekly events such as the foam party. Kids’ activities Mini Club for kids with scheduled activities and specialist staff. Cartoon murals. 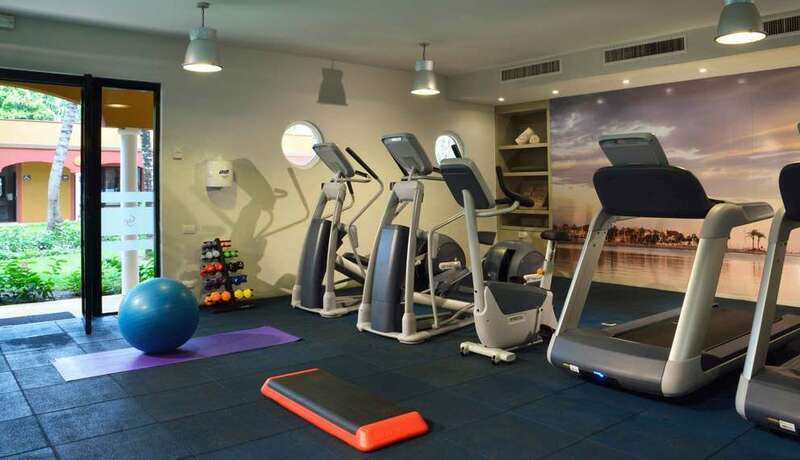 Sports activities Gym, football, beach football, tennis and archery. 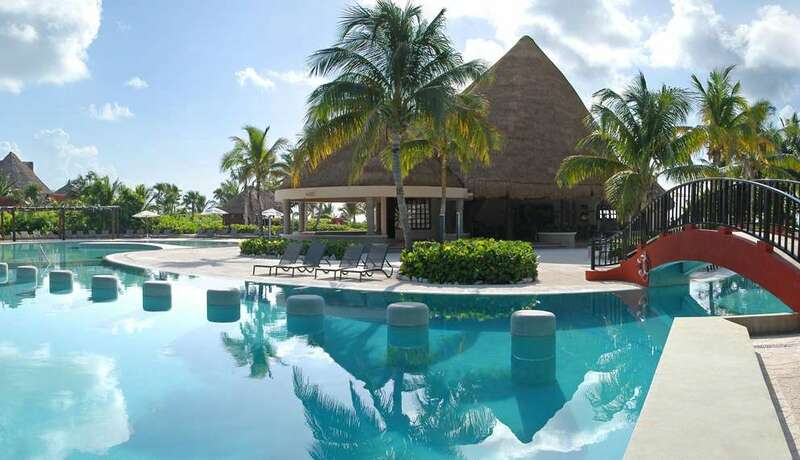 Non-motorised water sports Kayaks, dive centre, snorkel equipment, introduction to diving classes in the pool. 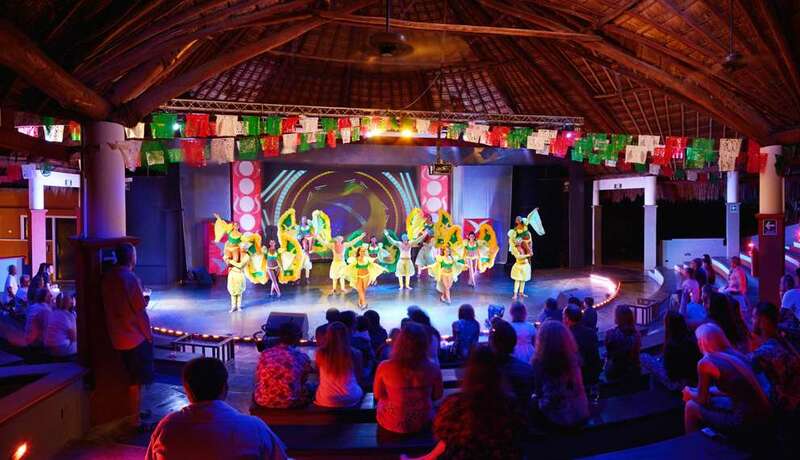 Evening shows and disco With live shows and entertainment. Our daytime shows and activities Aqua Circus, Beatles Forever, Pool Foam Party, inflatable games on the beach. Discover what it’s all about! 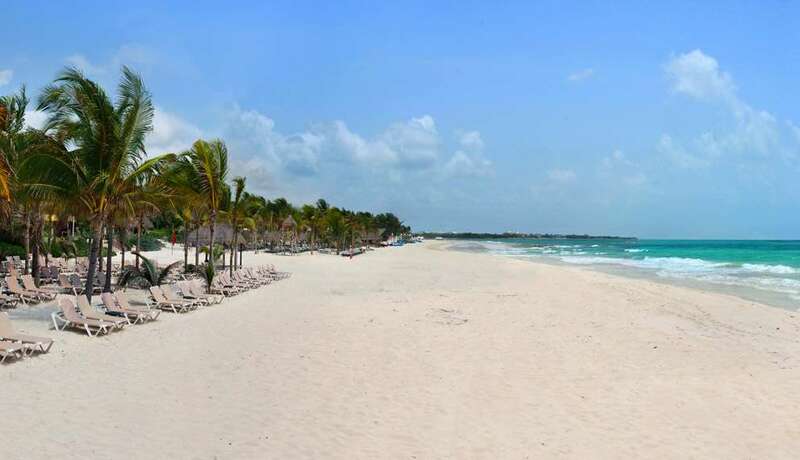 What do other users think of the Catalonia Playa Maroma? Premier séjour au Mexique. Très propre, personnel très aimable et à notre écoute, bonne bouffe. This was our second time to the resort, we love it. Staff are very friendly and very helpful. The whole atmosphere is wonderful. Next year we go to Australia, but we will be back 2021, possibly before. My wife and I would like to thank all the staff of Catalonia Playa Maroma for making our honeymoon experience even more special! The staff was very friendly and did a great job remembering names of guests. The nightly shows put on by the staff were entertaining. The food was great. Beach was large and very nice sand. Very relaxing. Really liked the palm trees on the beach. Would like to see IPA on tap. 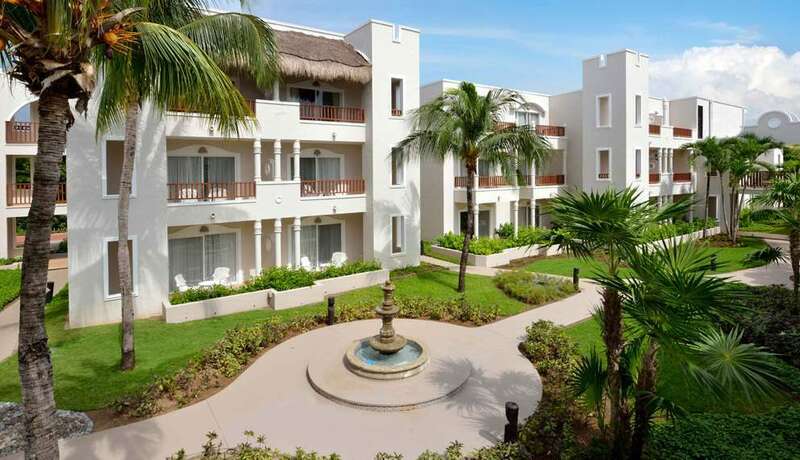 We loved our stay at Catalonia Playa Maroma. 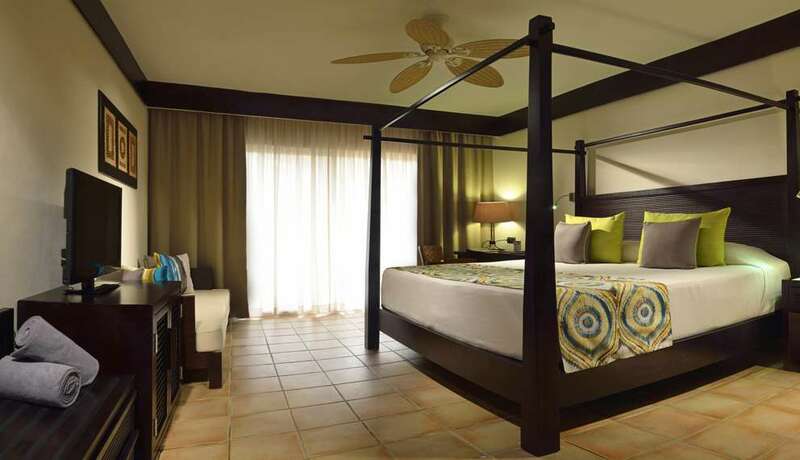 The resort is beautiful, and our room was wonderfully appointed, comfortable and clean. 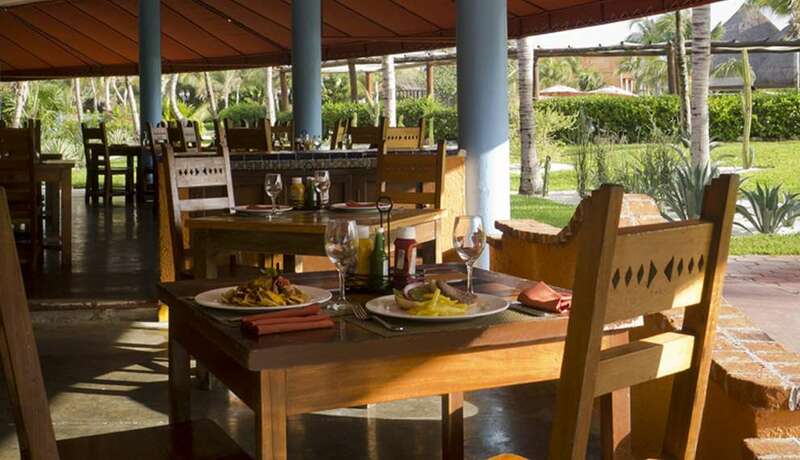 The staff was very friendly and helpful, the beach was fantastic and the food was better than expected. I was surprised to see the bartenders using decent brand alcohol - not top shelf - but the kinds of bottles I would buy to mix at home. The last all-inclusive I visited used locally made, poor quality liquors. 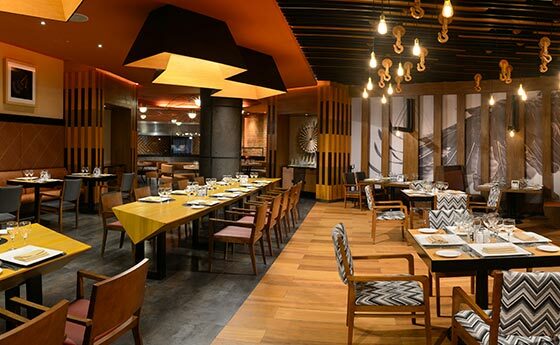 We were especially surprised by the quality of the buffet (breakfast and dinner), which is also ironically where our 5-star rating was lost. 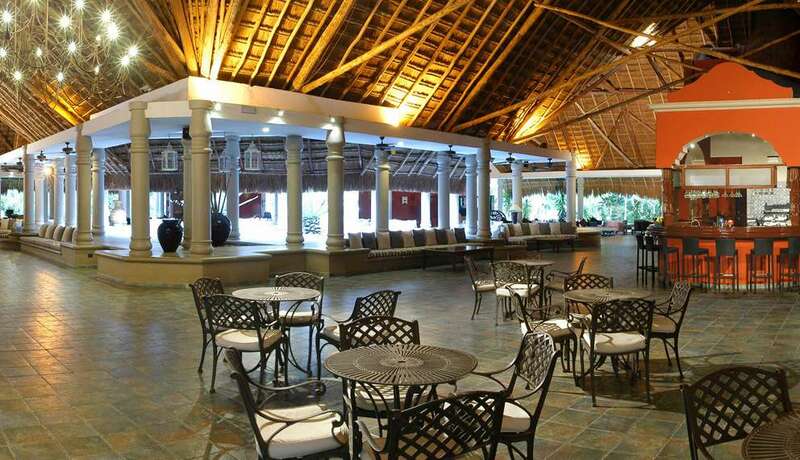 On our last night at the buffet, thoroughly enjoying the Mexican food night under the soaring thatched roof, my wife happened to notice small blackish pellets on the floor all around our table. She immediately recognized them as lizard droppings. We scanned the thatched roof, but it was so high, we couldn't see if there were lizards there or not. I thought maybe they were on the chandelier (which was spectacular), but didn't see any there either, so we warily continued our meal. As we were enjoying our dessert, a pellet fell directly on our table. Fortunately, it didn't land in our food or drinks, but we realized that this could have happened at an earlier point in the meal before we were alert to the possibility. We checked the fresh pellet it with a utensil and it was indeed feces. We never had this issue with the breakfast buffet in the same room, so we assumed that the lizards come out in the evening when the insects gather around the lights. My wife and I agreed that this issue will probably be a difficult one to solve given the ubiquity of the lizards. 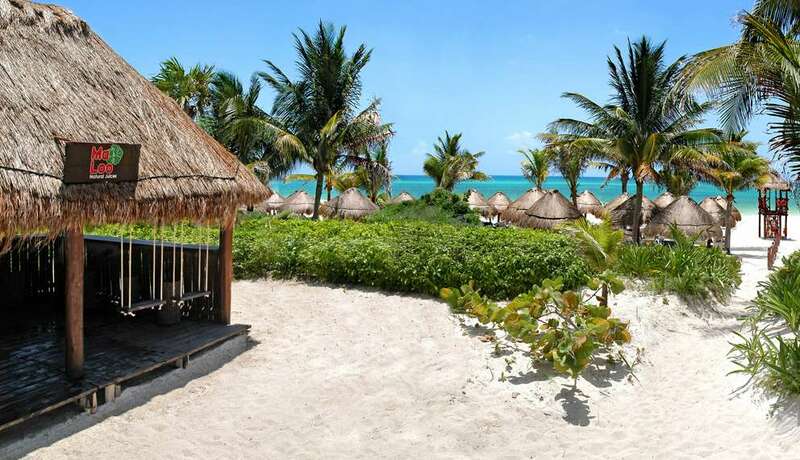 We also agreed that this wouldn't stop us from returning to the Catalonia Maroma, but we won't be sitting under the thatched roof anymore, and we'll be very cautious in general when dining at the evening buffet. 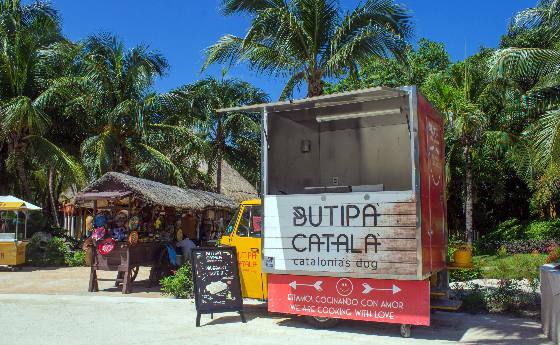 In spite of that one issue, Catalonia Maroma gets our enthusiastic recommendation, and we plan to return. Everything was great, the food was good, the beach, the pool, the drinks and service. The only issue we had was with the boutique and their quality of service. I bought shoes there and they broke the first time I wore them, the boutique wouldn't do anything for me after saying they would and sending us to the reception desk multiple times for nothing. After they told us I could exchange them for a new pair until the very last time when she said it had been 5 days since I bought them. The quality of service there was awful and I wouldn't recommend anyone shop their if that's how they treat your customers. We had 5 very fine days at Catalonia's The rooms are roomy and clean with good beds. There are lots of ways to relax or for some action. The diners to choose as well as the drinks are well done. Thank you! Had a great time for anniversary! The stay was amazing! Tons of activities to do around, open bar, and a large of variety of food to choose from! Great room service and all the staff is great. We had an amazing time! Gorgeous beach, friendly and helpful staff, superb accommodations, would definitely love to go back! 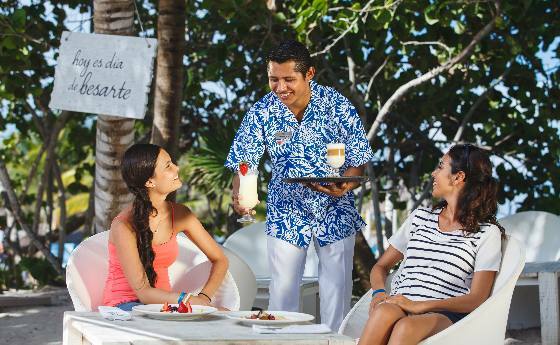 Great beach, great service, great food, great value! What a wonderful, relaxing family vacation. Chill vibe, we all had great time. 40.4km - approx USD40 in taxi. 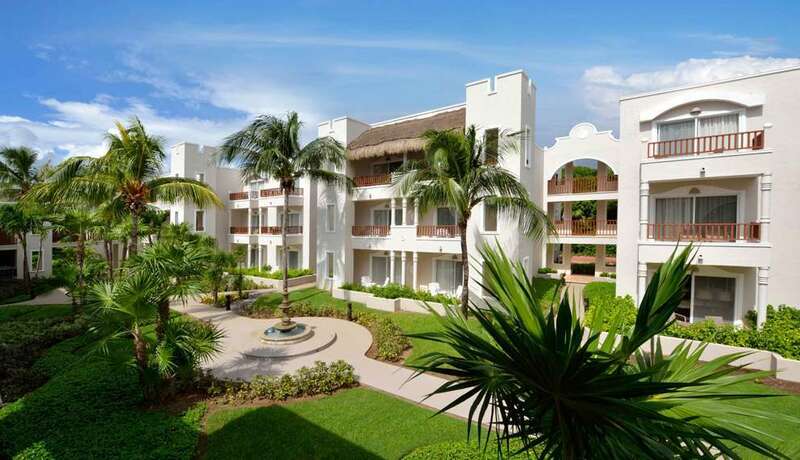 If the name of the credit card supplied when booking at the Catalonia Playa Maroma hotel does not coincide with the name of the guest, please contact the hotel in advance. An identity check and valid credit card are required to check in. 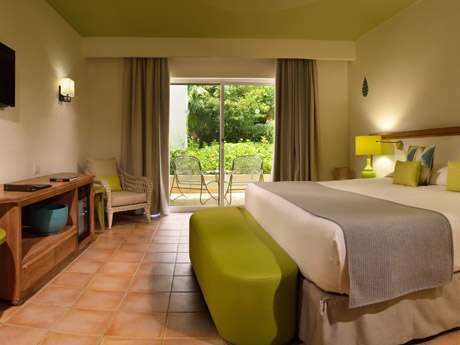 The hotel reserves the right to pre-authorise the credit card prior to the entry date. Payment: Mexican peso, Euro, Canadian Dollar, Pound Sterling and the following credit cards: Visa, Amex and MasterCard. In accordance with the law in Mexico, cash payment in USD is not accepted. 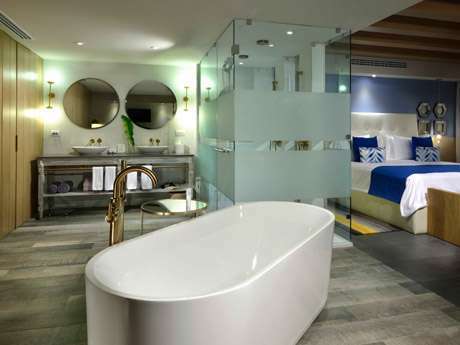 Environmental Sanitation Fee not included: 20MXN (1.11US$) per room and night to pay at the hotel. The hotel has a free dedicated car park. Booking not necessary. Privileged Romance and Privileged Romance Deluxe guests staying more than 4 nights also get the following services in addition to Privileged advantages: Welcome amenity of fruit, bottle of sparkling wine and chocolate (please specify time of arrival when booking), Private dinner for two (one per stay; location might change), Couple massage – 30 minutes, Special room decoration. Spa: children under the age of 18 must be accompanied by an adult. Entrance to spa not permitted to children under the age of 14. The hotel does not accept cash payment in USD. 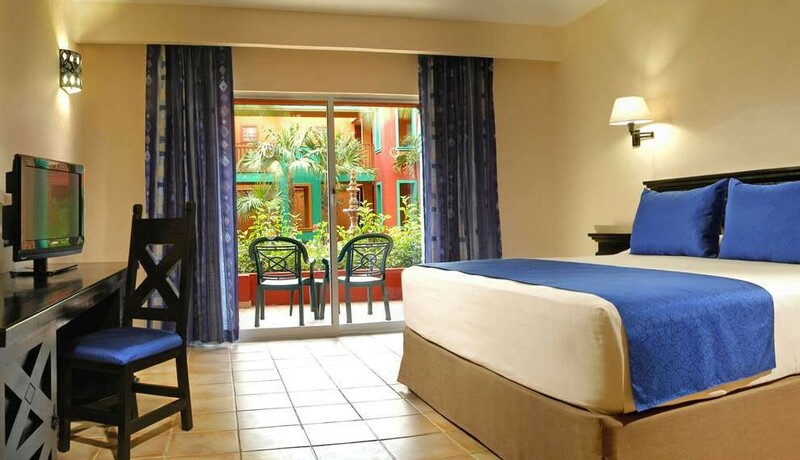 The Catalonia Playa Maroma Hotel enjoys an excellent location from where you can easily visit Playa del Carmen. 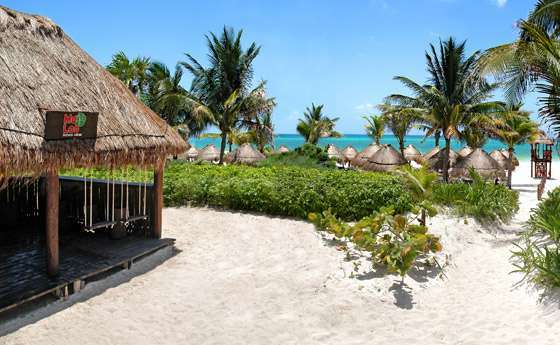 These are some of the most famous landmarks in Riviera Maya, but don't forget other important tourist sites such as Cozumel or Cancun. 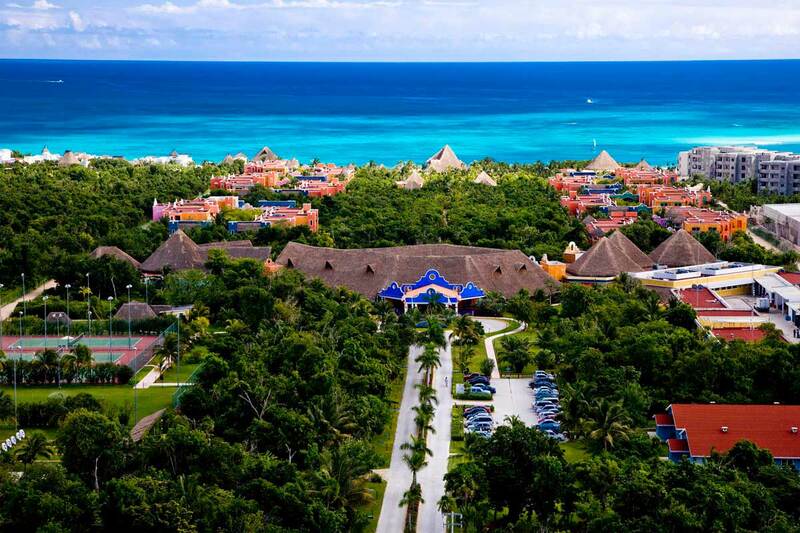 In addition to the Catalonia Playa Maroma Hotel, you may be interested in other hotels for weddings in the Caribbean, hotels with a golf course in the Caribbean or beach hotels in the Caribbean. 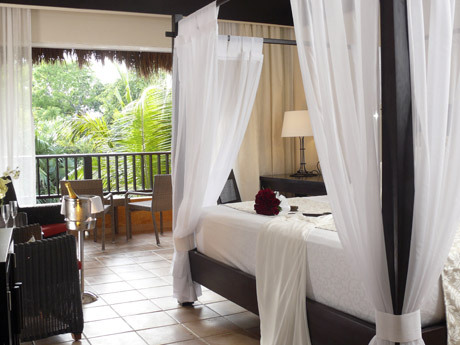 Or if you prefer, Catalonia Hotels &Resorts has fantastic city hotels, hotels for weddings and hotels for honeymooners.